we never saw headlights or anyother form of artifical lighting. well as a broader and less vivid blue gas tail. The bright star to the right center is iota Aurigae. 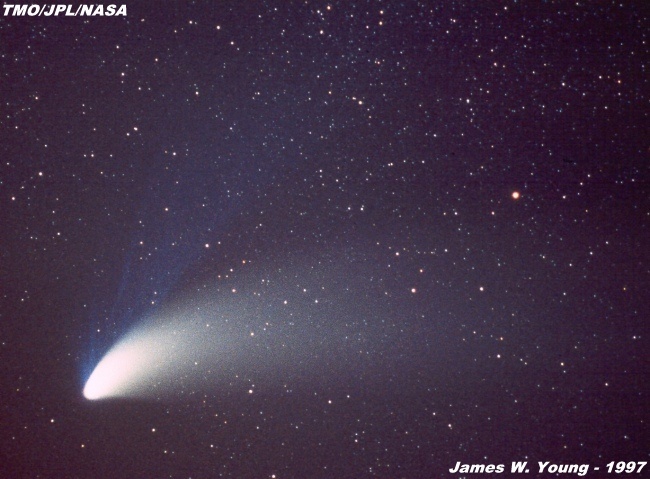 been a very faint inconspicuous object, and Hale-Bopp would have filled the skies with its bright tail! exposure of 1/125 second on Kodacolor 100 ASA film.